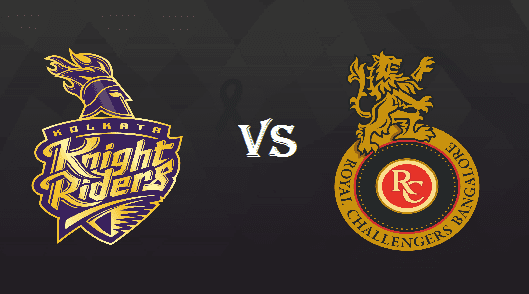 The 27th match of Indian Premier League (IPL) 2017 will be played on 23rd April, between Kolkata Knight Riders (KKR) and Gujarat Lions (GL) at Eden Gardens, Kolkata. There may be chances of rain on the day of match; previous match on 21st April received some showers. Moisture on the wicket will help pacers and also dew factor will come into consideration; captain winning the toss would like to chase. Kolkata Knight Riders had lost its last match against Gujarat Lions at Eden. And it was the Gujarat Lions day, KKR did nothing wrong but GL skippers inning made all the difference. KKR batsmen are giving their best and skipper Gautam Gambhir is leading them from the front and has scored three 50’s in 6 matches till now. Sunil Narine is opening the innings with Gambhir and is adding decent runs. Manish Pandey, Yusuf Pathan and Robin Uthappa all are in form. KKR's specialist bowlers seems to have been assigned to do specific work; Narine is best in controlling the run flow, Umesh is best in death overs, and Piyush Chawla in accuracy with line and length. Royal Challengers Bangalore won its last game after three losses in a row. Currently RCB is at the bottom of the points table with 4 points in 6 matches. RCB won the last match against Gujarat Lions in which the team scored the mammoth total of 213. Team is back with its strength that is batting. With Gayle and Kohli scoring well, there is little work left to be done by the lower order batsmen. AB de Villiers is having problem with his back. With RCB bowling going with ups and downs in the tournament, choices for the match will be a bit tricky. Wickets will have little for the spinners; so RCB is likely to go with only Yuzvendra Chahal. RCB and KKR has played 18 matches against each other in IPL history with 9 wins on each side; RCB had won l3 gamesof last 4.